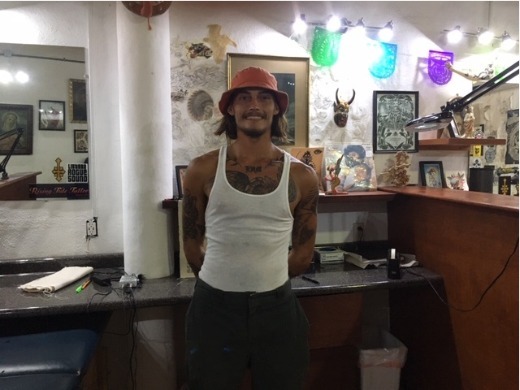 Eric Miranda is the newest tattoo artist to arrive at Chops’ famous tattoo studio here in Sayulita, Papillon Family Studios. Originally from both Los Angeles and Vancouver, Eric has a lot of experience and knowledge in both art and design, as well as travel and culture. 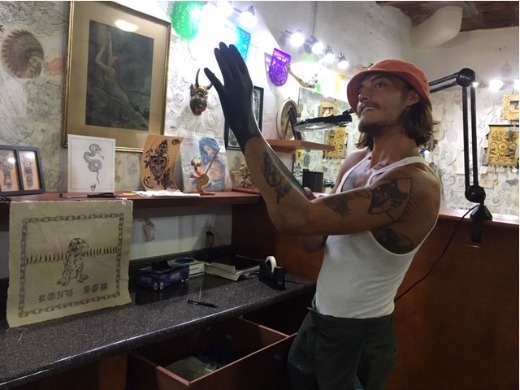 Although Eric may be a fresh face around here in Sayulita and in the tattoo world in general, his work is that of an experienced and seasoned artist. 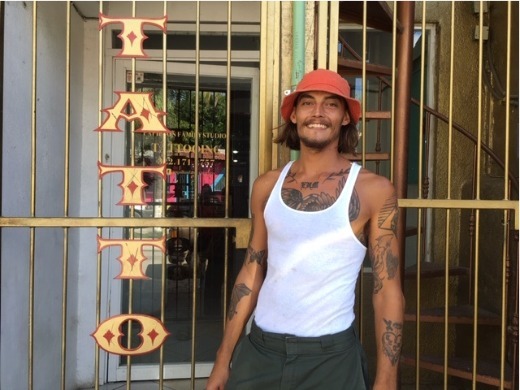 Eric tells me about what brought him to Papillon Family Studios in Sayulita, his background in tattooing, and what he loves most about his craft. It is safe to say that this is essentially a love story in many ways. Can you tell us a bit about yourself and what brought you to Sayulita? I’m from both Los Angeles and Vancouver. I originally passed through Sayulita with some friends from Vancouver on a skate trip. When I was on that trip, I met a very nice person that got me to start coming back to visit bi-monthly, and I did that for the past six months until I finally made the permanent move; now I am here to stay. 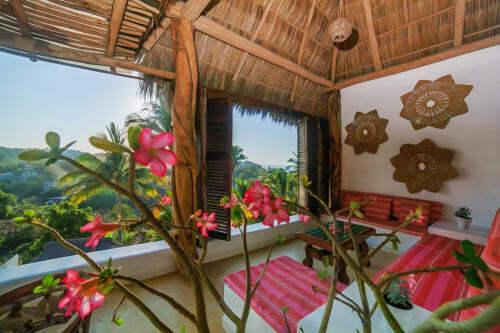 What do you love the most about living and working here in Sayulita? 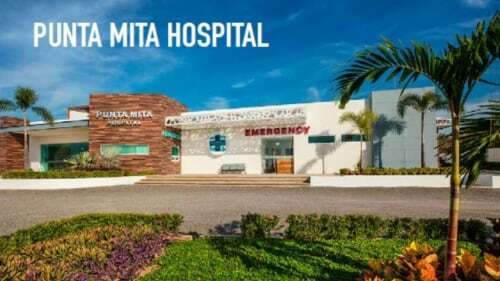 After working and living in large cities my whole life, then coming here to Sayulita and seeing the energy of the town, it seemed like a nice change of pace for me. I’ve been surfing my whole life, and seeing the accessibility for surfing and the way this community promotes healthy living and a healthy lifestyle, it seemed like an obvious choice to be down here. What is your background experience in tattooing? How did you learn or gain experience in your craft? Before tattooing I went to Emily Carr University of Art and Design in Vancouver, which helped me develop my artistic abilities and gave me the confidence to start tattooing. I’ve been tattooing for three years, and have gained knowledge and experience through a very strong community of friends, other tattoo artists, and interdisciplinary artists that have been willing to lend knowledge and trust in me to better help me improve my craft. 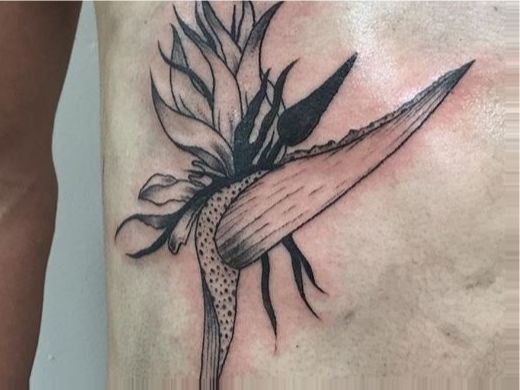 When /how did you know that tattooing was something you wanted to pursue? Why is it a passion of yours? I had been working on a few different artistic endeavors, from painting, surfboard shaping, running a clothing brand, to sign making, and during all of that I found that tattooing gave me the best sense of internal reward. Furthermore, it relatively takes the least amount of materials to do or make a tattoo, which allows it to be something that is a sustainable practice to be able to travel and work. What do you love the most about tattooing people? Every day, I am meeting new people and working on a different artistic endeavor. I love the moment months after I tattoo someone, and it is so far back in my mind that I've almost forgotten about the tattoo, then that person shows up out in the world, and I get to see the piece I did on them. I get a major sense of appreciation for the people that put their trust in me to make these pieces of art that will exist on their bodies forever. Would you say you have a “signature style” or type of tattooing you enjoy most or do best? If I had to define my style to just one thing, I would say it’s a take on traditional, with a mix of interesting and unique coloring techniques, along with fine line work. But all in all, I’m able and willing to take on whatever designs may come at me. As an artist, why do you think tattoos are important? What do you love most about them? I think in this day and age tattoos are important to people because it lends to a sense of individuality, and it allows people to feel in control of their own body. I enjoy the fact that each tattoo is going to be somewhat different, whether it be the content that is being tattooed, to the person you are tattooing, even down to the way in which each tattoo artist executes a tattoo. I love the positivity within it, regardless of the tattooing subject matter; people are happy to come and get tattoos, and I’m more than happy to give them. Because of that, it creates a healthy work environment where I feel like I’m doing something good for people, making their day better, and that positive reward works both ways. Do you take appointments, or what is the best way for clients to book you? Yes! Please call or stop by Papillon Family Studios and we will find a day that works for you. You can also direct message me on instagram @darque_ . Eric Miranda may be a “fresh” face in the tattoo world and here in Sayulita, but his impressive art school background, his ability to define his signature style, his genuine enthusiasm for his work, and his love and passion not only for his craft, but for the people he gets to help and serve makes it clear that being “fresh” is not a negative thing; it is in fact a wonderful quality that sets him apart from the rest. 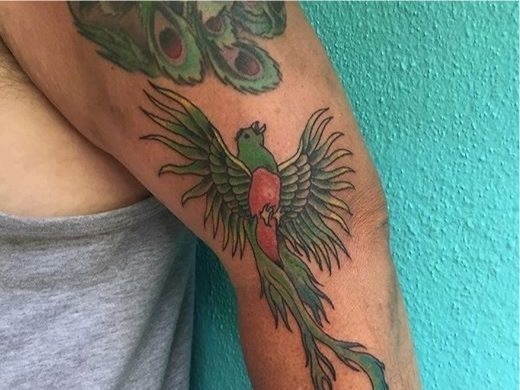 Eric brings the latest recent knowledge, expertise, and fervor in tattooing to his work in order to give his clients tattoos they will simply love forever. He makes a wonderful addition to the Papillon Family Studios team. Stop by the shop, call or contact via their Sayulita Life Page, or message Eric directly to make your appointment today.